Are City Folks the New Caretakers of the Land? In a beautifully written article in The Atlantic, writer and environmental activist Wendell Berry recently lamented the loss of walking. Not walking as we might think, but farmers walking and getting to know their land, crops walking or being harvested slowly off the land, and water walking rather than rushing off farmland. Berry's assertion is that the loss of these kinds of walking means farmers no longer care for their land as they once did. It means that nature's biological diversity is plowed under monocultures of corn and soybeans, while rich soils are washed away into ditches and streams. As they are replaced by machines, farmers are no longer country people who care for and understand the land according to Berry, but instead become "city people, industrial workers and consumers, living in the country." They join the ranks of humans who destroy nature. Yet what about the other city people? The industrial and service workers, the teachers, the consumers, the retirees, and the children who actually live in cities? Recognizing that the majority of us live in cities, is it possible to find a modern day, urban rendition of farmers walking, crops walking, and water walking off the land? One place to look might be in the community gardens of New York, New Orleans, Berlin and Barcelona, as well as Montreal, Cape Town and thousands of other cities around the world. The city people who walk these small patches of earth amidst high rises, dilapidated houses and rusting factories just might be the rightful successors to the farmers we once knew. In the old days, farmers touched the soil. They became intimate with that soil -- felt its richness and came to understand how it could best grow crops. In today's cities, community gardeners come to know the soil when they use their hands to mix compost with dirt, and their arms to fill raised beds with the soil they have created. Rather than machine harvesting vast monocultures of corn and soybeans, these modern day caretakers of the land harvest a rich mosaic of vegetables and herbs throughout the summer. Like Berry's pre-industrial farmers, they allow their crops to walk off the land. And the community gardens, along with artificial wetlands, pocket parks, and other green infrastructure created by urban land stewards, allow the water running off streets to slow to a walk as it seeps into soils and is taken up by plants, possibly reducing its load of contaminants before entering the river or sea. Berry also laments how scientists at agricultural colleges have been complicit in the demise of walking. Yet a growing number of scientists are supporting the work of walking the land in cities. Cornell PhD student Megan Gregory has spent hundreds of hours speaking with community gardeners in New York City. They told her that their biggest concern is about dirt -- how they can make their soils hold onto water and supply nutrients for their crops. Unlike scientists who are myopically focused on increasing crop yield and blind to any environmental or social consequences, Gregory and her PhD advisor Laurie Drinkwater worked with community gardeners to conduct experiments with cover crops that would enhance soil quality without chemical inputs. Gregory and the community gardeners walk the small plots of land seeking to understand soil fertility in harsh urban environments. Even with the support of scientists like Gregory and Drinkwater, we will not be getting vast quantities of our food from community gardens any time soon. Their importance lies elsewhere. Community gardeners and their scientist partners represent a modern-day version of an agriculture that connects humans with the soil and humans with one another. Community gardeners are often recent immigrants from farmlands-country people who become city people. Yet city people who recreate the connections to land and to neighbors that country people once enjoyed. 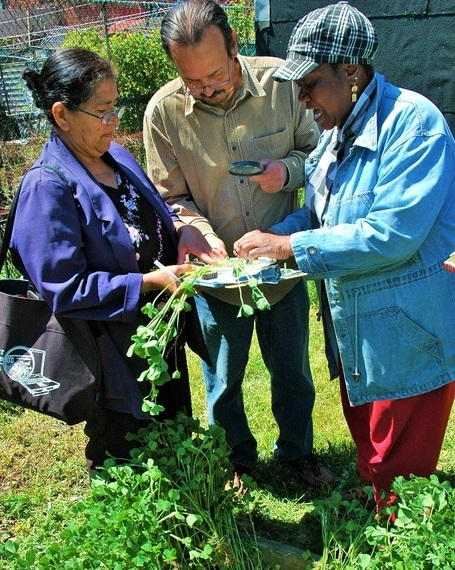 Community gardeners represent the start of a larger movement that my colleague Keith Tidball and I have documented in our recent book Civic Ecology: Adaptation and Transformation from the Ground Up. Civic ecology is about how and why people in cities are restoring their places and their communities. 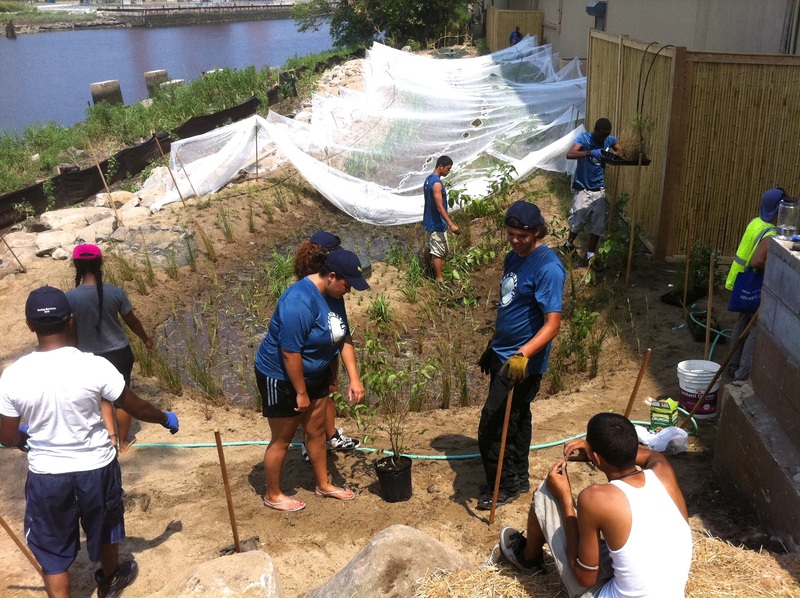 Not just community gardeners, but also people who are removing invasive species from local parks, cleaning tombstones and pruning unruly shrubs in cemeteries, planting street trees, picking up litter, and creating artificial reefs to bring back oysters in polluted estuaries. Like Berry's farmers, these urban stewards care for nature and their communities. Their presence turns our paradigm of humans as destroyers of nature on its head -- by showing how people can be a positive force in restoring places and civic life. Community gardeners, oyster gardeners, and other urban land stewards are city people who care for the land and the water. And scientists are increasingly engaging with these urban pioneers to expand their practices in a way that sustains walking in its multiple forms. While I support Berry's calls for walking in our nation's heartland, most of us live in cities. It's time to support the opportunities that the vast majority of us have for walking -- for connecting to and caring for nature and community -- in today's urban world.